On December 4th, 2018 Reddit announced major improvements to the Reddit Ads Conversion Pixel. This Pixel allows you to track website traffic and conversions, but that data is only trackable by Reddit and not your Google Analytics or other third-party analytics software such as Adobe Analytics. New Reddit use the rel=noreferrer attribute on links within ads on the site. This means that you can’t track the success of your Reddit ads inside of Google Analytics or any other tracking program except for Reddit’s ad system by tracking the number of website visits, sales, or lead gen conversions from Reddit.com. This is absolutely terrible and should never have happened. I’ve asked Reddit to fix this but have received no response. Why Do Google Analytics and Reddit Ads disagree on clicks? This question pops up constantly. The answer is fairly complex and Reddit hasn’t as of yet offered an official explanation, here is our current understanding. Reddit is a community comprised of some of the most tech savvy users on the internet. Many of these likely block ads on other websites, but not on Reddit. Frequently when an ad blocker is used it also blocks Google Analytics. This could be the reason that Google Analytics and Reddit Ads do not agree. To help understand how well your Reddit ad performed instead of Sessions or Pageviews as tracked by Google Analytics try these KPI’s and tracking techniques. 2. Track Conversions Specific to Reddit Ad Campaign. Reddit doesn’t YET offer a tracking-pixel and given the website users’s aversion of being tracked are less likely to do so than say Facebook, Twitter, or even Tumblr. Even if they did it offer this and it worked well, it would be impossible to validate Reddit’s pixel data with your own Google Analytics due to blocking. Instead if your Reddit Ad is focused on getting Form Fills (Lead Generation) use a form software such as Gravity Forms that tracks entries inside of your desired CMS (i.e. WordPress). Create a form specifically for your Reddit campaign and either use a custom landing page, UTM tags, or referrer data to show the Reddit ads form to Reddit advertisers and track the effectiveness this way. 3. Use Coupon Codes. If you’re running a retail or event operation that relies on making sales use a custom coupon code for your Reddit Ad campaign. This will help you track the effectiveness and ROI of your campaign. Make sure you have AWstats installed and compare the sales data to Unique Visitors in order to calculate an estimated ROI of your campaign and improve your campaigns over time. 4. Track Reddit Engagement. Instead of tracking website visitors track how users engage with you on the social media website itself. 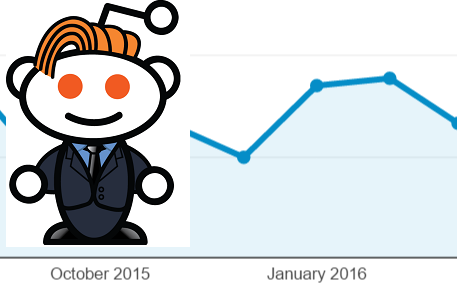 Try things like; promote your own Subreddit, Ask questions, Give out Gold (see our Toyota Case Study), Track brand mentions before and after the campaign on Reddit, or Promote a narrative (i.e. the best blank of blank is blank) and track how that spreads across the site. Tracking success with Reddit Ads is currently very difficult. We’ve discussed how to better track the success of Reddit Ads and correlate data from their ad system with traffic and metrics on a website. Now, that all seems to be changing. Yesterday Reddit made a much awaited announcement of a brand new self-serve advertising system. In the comments section of their announcement a user asked if there were was a ‘Reddit cookie’ yet. Reddit Ads staffer Nwelitist replied that the new system didn’t have a tracking cookie yet, but that they were expecting to release one soon. While you can track Reddit ads with UTM paramters and Thank You pages right now having a tracking cookie that reports back to the Reddit Ads system would be very beneficial to both the advertisers, to Reddit, and to Reddit’s users. This will unlock the ability for Reddit Ads to sell ads on a cost-per-conversion basis giving advertisers better control over where their ads are appearing and creating a better experience for Reddit users who might otherwise get annoyed by the same ad campaign over and over in the subreddit’s they visit. Can I Require An Email To See the Landing Page in my Reddit Ad? Question: Can I Require An Email To See the Landing Page in my Reddit Ad? This question was posted to the Reddit Self-Serve Ads subreddit by Reddit Ads user askgeorgealonso after their ad was rejected. Reddit Ads Policy Article IV, Section 19 seems to prohibt this type of behavior for an advertiser’s landing page. Reddit Ads support team member MyNameIzKhan told Askgeorgealonso that his landing page couldn’t require the email be filled out in order to see the content of a landing page. My guess is that even with an (X) being added to the modal popup Reddit Ads would still reject the advertisement because it impedes how a user interacts with the content on a page. As I pointed out to MyNameIzKhan that doesn’t quite fit the modal lock on a page requesting an email to see the content since it doesn’t inhibit the ability to interact with the page very much or if an (X) to close the modal was added would allow full interaction. I’ve been told this section should be updated soon to better clarify what is and is not allowed on landing pages. When setting up your Reddit Advertising campaign you’ll need to select an end date. In many advertising platforms ‘end date’ typically means the last day your ad will run. However, with Reddit’s advertising platform this means that no ads will run on this day, so your last day for the ad to run will be the day before the ‘end date’ you set. This was brought up by Reddit user /u/auvik_shaun and is a good thing to keep note of when planning out your campaign. Read about it here. Are Dirty Jokes Allowed in the Headline of a Reddit Ad? A user wanted to know if they could use dirty jokes or a symbol for the male genitalia made out of ASCII characters as the headline for a Reddit Ad. Reddit Ads staffer /u/MyNameIzKhan was polite in asking the advertiser to keep their ads tasteful, but the reality is that doing such a thing is a violation of Reddit Ads Policy. Advertisers may not use the Platform to disseminate obscene, offensive, or inappropriate content. Such prohibited content includes content that depicts intolerant or overly contentious political or cultural topics or views, that uses vulgar or sexually explicit words or images, that is designed to evoke visceral reactions, or that is improperly targeted toward minors. While jokes are clearly fine for Reddit Advertisements or the headlines, writing an ad that incorporates the male genitalia or dirty jokes is prohibited. Read about this on the Reddit Advertising subreddit here. Reddit Ads manager shows all of your ads on one page at www.reddit.com/promoted/ when you’re logged in. User ‘flt001’ was having trouble seeing his/her ads on that page. Turns out they were using an adblocker. Note when you setup your ads on Reddit you should turn off your adblocker to test and make sure everything is working fine. You can read more in this thread on the Reddit Ads subreddit. With Reddit Ads you can target a lot of different cities and regions, but you can’t always target what you want to. For example if your a service business in Orange County California you’ll quickly discover that you can’t target Orange County in the geo-targeting options. To target your ad correctly instead look for a sub-reddit that matches your target and select a geographic target that fits as well. In this example you could try geo-targeting California and targeting only users of the /r/orangecountry sub-reddit. Or you could try the sub-reddit’s of Anaheim, Irvine, and other cities located in Orange County. Reddit Ads staffer MyNameIzKhan also recommended that advertisers could target a nearby area with the geo-targeting option, which in this case would be the city Los Angeles. Read this thread on the Reddit Advertising sub-reddit here. Another plan would be to setup several different ad variations with different geographic / sub-reddit targeting options to see which one(s) work the best for you. 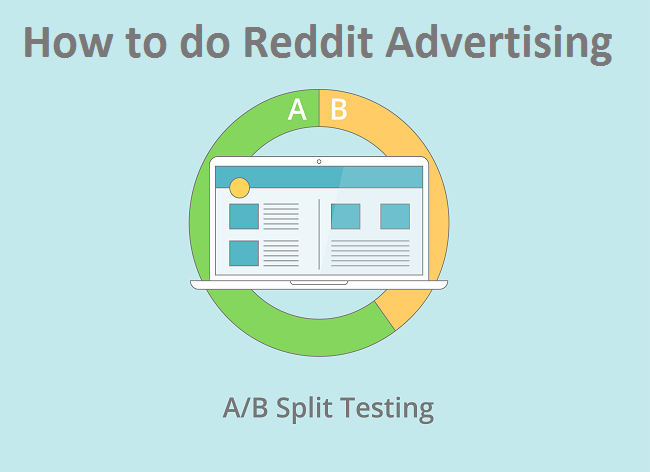 Recently Reddit advertiser IdoQL asked how they would be able to A/B test Reddit ads. It came as no surprise that Reddit doesn’t currently have a built in A/B testing platform for their advertisers as the site only recently appears to have taken selfserve advertising seriously. Reddit staffer MyNameIzKhan replied that setting up your own A/B test experiment was possible, but unofficially. When an advertiser builds two ads with different creative but identical settings (spend, dates, and targeting) the Reddit Advertising platform will distribute their impressions as evenly as possible resulting in an almost A/B testing like environment. 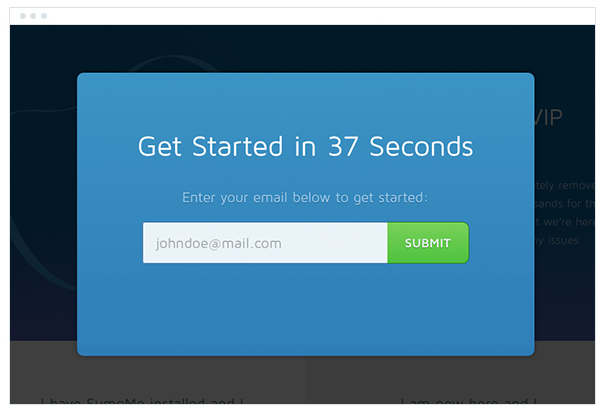 We do not yet have true A/B testing. To test two different ads on the same subreddit you will need to set identical campaign parameters. We’ve gotten some questions about just how the upvote mechanism works with Reddit Ads. Most often when you scroll through Reddit Ads in the carousel (top of the page, arrow is on the right-hand side) you’ll see that most of the ads have a dot instead of a number, but every now and then an ad will have an upvote count. Recently we reached out to Reddit’s advertising team and asked them why this is and we were told that when an ad shows a dot it has negative upvotes, but if the upvote count is above zero the number will display. If you are not seeing an upvote count next to an ad it means the score is below 0 and will show a dot in its place. We do not have the option to turn off upvotes/downvotes. We’ve reached out for clarification on what exactly this means, if anything. Some advertisers have expressed a concern that not having upvotes could hurt their ad in some way. That seems unlikely but we’re asking to be sure. There’s also the question of click-through or engagement rates, do upvote counts help that? Currently the answer to this question seems to be no as none of the ads in the Toyota campaign we recently wrote a case study on had an upvote count but gained great engagement with the Reddit community. EDIT: Reddit Ads staffer MyNameIzKhan replied to our question about what Reddit might use the upvote count on ads for. He told us that they do not help or jurt an ad, but that they could be used in the future. Currently, they do neither. It is something we are keeping in mind for future use.